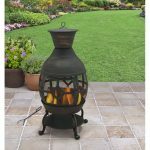 This is a small metal stove for burning wood or other solid fuel (coal), designed for heating and cooking, boiling water. In many countries, this device is called indoor or metal stove. 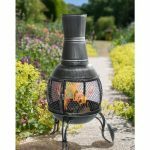 Modern cast iron chimineas are highly efficient heating devices capable of warming a room of 50-60 m² (up) with a ceiling height of about 2.5 meters. 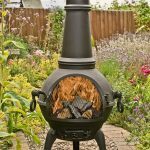 In some cases they successfully replace traditional brick ovens and fireplaces, compared to them chimineas have many advantages. 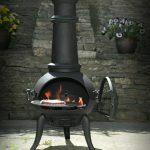 Iron chiminea finds its application in the cottage, as a supplement to the main heating system. 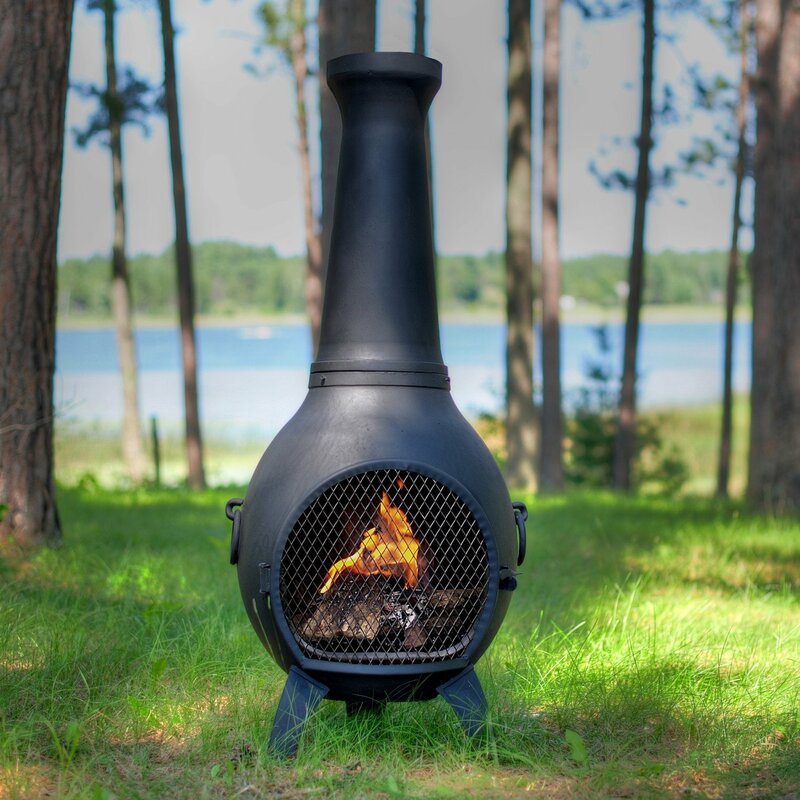 Many boilers are shut off in the summer and in the off season, but in many places summer heat is a relative thing and efficient chimineas will quickly heat the room. Theoretically it is possible to install chimineas at the apartment if for any reason there are interruptions in heat supply, but you must obtain a special permit (that is problematic). Portable chimineas you can take with you when you are leaving to the countryside or in the expedition. For cooking. 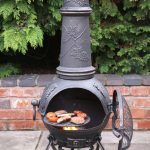 The undeniable advantage of cast iron chiminea is its versatility – with its help you can keep your house warm, and reheat food. There are models with a hob, and some even have an oven. 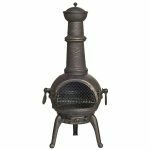 All this makes cast iron chimineas the indispensable item for cottages (where you do not live permanently, but come on weekends), as well as free-standing kitchen on garden plots. Heat from the hot furnace walls commonly are used for cooking. 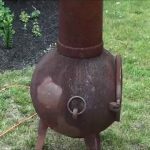 What is the difference between a chiminea, fireplace and stove? 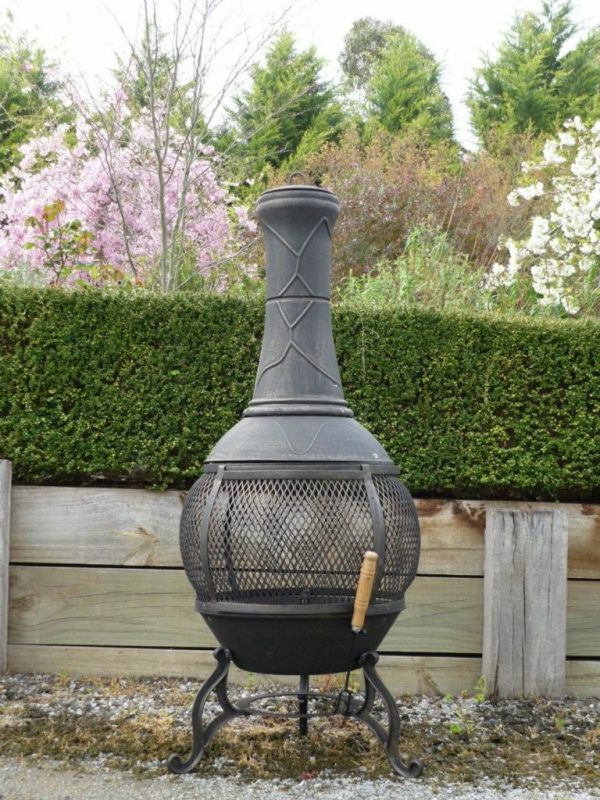 The advantage of cast iron chiminea is its fast kindling. Usual mason oven is warming up for several hours, and the chiminea starts to heat the room within 10 minutes after ignition. In addition, thanks to the air guidance (convection) and other innovations its efficiency has increased by 15% (the old models) up to 80%. 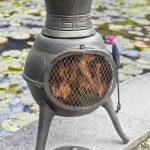 As a result of its heating characteristics of the cast iron chiminea it does not yield a nice big fireplace and, in contrast, spread heat around itself at a steady pace. Of course, the island fireplaces spread the heat around as well, and stoves in general look like a chimineas with a large firebox. Yet there is a very important difference: fireplaces and stoves are more focused on admiring living flame in the hearth, and the main heat is going by direct radiation from the furnace. 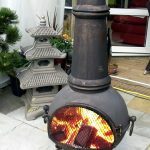 With the doors of tempered glass chiminea does not exclude this possibility, but according to the classification it still belongs to the furnaces (heats by heating the walls).